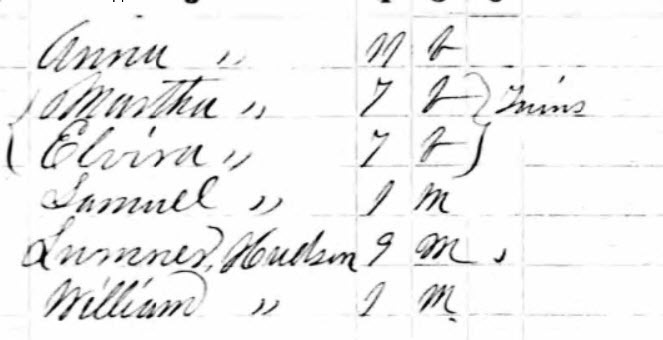 Census 1850* Dr. Hugh Swinton POTTS appeared on the census of 4 September 1850 in Winston County, Mississippi, H.S. Potts 32 physician from SC, wife Narcissa 25 from SC, Margaret 5, Anna 1. [S136] Bible - Thomas Potts Family Bible - 1668-1893 , area covered is Charleston, South Carolina. Bible printed in 1740. other surnames mentioned: Akin, Burton, Gray, Hairston, Keelin, Smith, and Thornton. Library call number 24346, Library of Virginia, Richmond, Virginia. [S130] College Student Lists. Worcester, Massachusetts: American Antiquarian Society. [S76] Mississippi Marriages, 1776-1935, Ancestry.com. [S3372] Mississippi, Wills and Probate Records, 1780-1982. Provo, UT, USA, Ancestry.com.